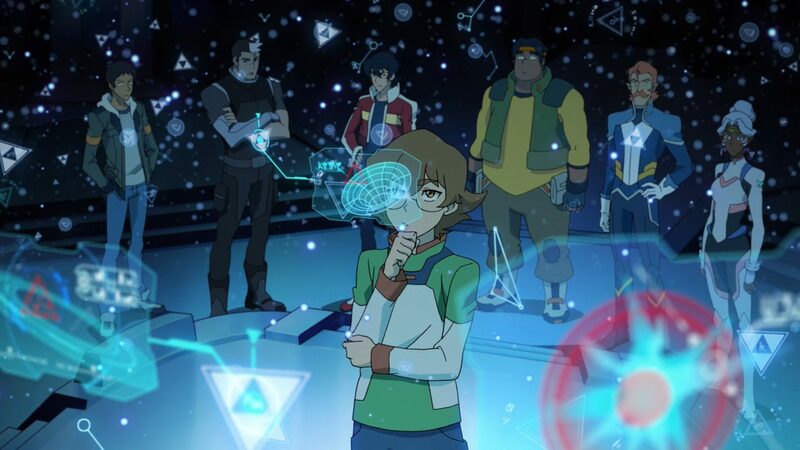 Dylan Hysen, Delaney Stovall, Justin Cummings, and Jeff Anderson take a deep-dive into the finale of Season 3 of Voltron: Legendary Defender, “The Legend Begins”. Okay I am going to stand by this theory, Zarkon did not father Lotor with another woman, so either Hagaar is Lotor’s mom or Lotor is adoptive. Ok I have number of things to say, I will use dot points. • Haggar and Zarkon were never together in the original show, in fact in golion Haggar was Zarkon’s mother. • The names Honerva and Daibazaal were the original names for Hagger and Zarkon in golion. • As for the no pupils, I don’t think it has to do with quintessence, Varkon don’t have pupils and he is a mall cop who wouldn’t have access to quintessence. Hagger and Zarkon were exsposed to it for years and didn’t lese there pupils until they came into contact with the creatures. Plus there were galra with pupils in the arena. I think some have them and some don’t. • That Shiro can’t have come from a different universe. The galra didn’t get the comet until after he escaped. So there is no way they can travel to get him.